When making your reservation, we encourage you to keep in mind our cancellation policy. Please understand your reservation will be guaranteed with your credit card, you would pay upon arrival. Any cancellation or change, let us know at least 3 days prior to scheduled arrival date in order to avoid a cancellation penalty charge (1 night). Please understand that your credit card will be charged 1 night as a deposit for each room reserved at time of booking (only Holy & Easter Week, Summer and New Year will be charged 2 nights as a deposit). You will be getting a payment receipt by Email. The rest of your stay is to be paid upon arrival. Any cancellation or change must be submitted at least 7 days prior to arrival date in order to avoid a cancellation penalty charge (2 nights). * The rest of your stay is to be paid upon arrival) or if so specified, the total charge of your stay will be made. * Includes New Year’s Eve Special. When you paid with a credit card the refund may take maximum 3 months. When you paid with a deposit or bank transfer the refund may take two weeks. Bank name, Bank Branch, Bank Account Number and ABA routing number. Full Name, Telephone and Address of the Guest. 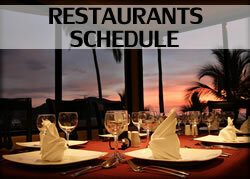 For any communications with our staff, please have your Reservation Code and your arrival date available. Rates and promotions are subject to change if any details relating to your booking are amended. Guest name, bed type, smoking preference, special requests, and accessibility options can be changed at no charge. Room type, number of guests, and travel dates can be changed, but the rate or promotion is subject to change. European Plan (only room) children under 12 stay free in parent’s room. All-Inclusive Plan children under 6 stay and eat free in parent’s room (one children free per adult. Maximum of two children free per room). Price based on double occupancy. Price will vary depending on season and room category. Price subject to change without prior notice. For your convenience the hotel reception is open 24 hours a day where all our receptionists speak English and Spanish and will be happy to be of service and help you with any questions you may have. We also remind you that we offer luggage storage service and showers at no extra charge. Hotel Playa Mazatlan offers free WiFi of up to 3 Mbps with access to two devices in any area of the hotel, both in the common areas and in the rooms and for an extra fee you can extend your coverage up to 30 Mbps with access to eight devices. All our guests who make their reservation through any Hotel’s official digital medium (website, WhatsApp, CHAT or social media) will be entitled to 15 Mbps with access to four devices. This service must be requested at the Hotel Reception. Hotel Playa Mazatlan offer free parking facilities for hotel guests.